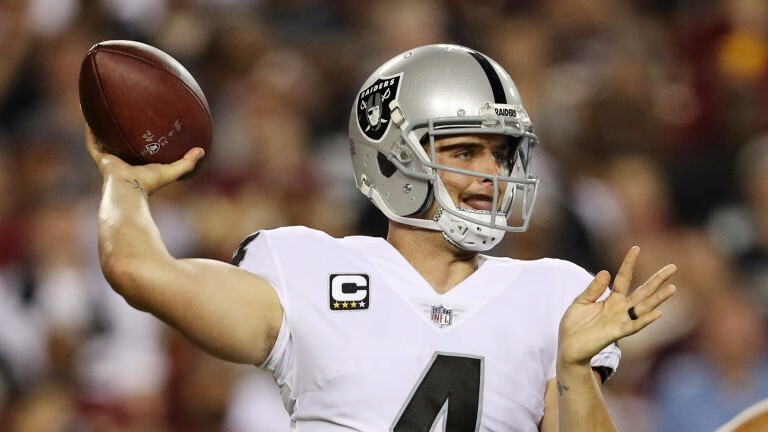 Oakland have been considered an emerging force for the last year or two, but they looked anything but Super Bowl hopefuls in their defeat at Washington last week and they have offensive questions to answer against AFC West rivals Denver. The Raiders could not get going at all, mustering just ten points in their Maryland jaunt and they face an even stronger defence at Mile High. Receivers Amari Cooper and Michael Crabtree are usually a potent force but the pair made just one catch apiece last week as Derek Carr threw just 188 yards. Crabtree is also struggling with a chest injury so his impact could be limited if he has any at all. Running back Marshawn Lynch, who has joined his hometown outfit after a year in the retirement wilderness, rushed for just 18 yards in six attempts, so questions are beginning to be asked there as well. Denver have to prove they are the real deal too. A crushing Week Two victory over Dallas suggested they were but they followed that with a poor defeat against Buffalo, so they will be looking for a big improvement in one of their biggest games of the season. Broncos quarterback Trevor Siemian performed above expectations in the first two weeks but two interceptions contributed to the loss against the Bills so his doubters will still need convincing. Former Kansas City running back Jamaal Charles has helped to improve the running game and could be heavily involved in what could turn into a dour struggle between two fierce rivals. Wide receiver Michael Crabtree has a chest injury and is rated questionable. Cornerback Gareon Conley (shin) has returned to practice. A game-time decision will be taken on back-up wide receiver Cody Latimer (knee). Cornerback Bradley Roby (foot) shoulds be able to play. Oakland have covered the handicap on eight of their last 11 visits to Denver.